Chris Turner entered the commercial real estate industry after graduating from North Carolina State University with a degree in business management. Prior to joining RED Partners Chris was with Coldwell Banker Commercial MECA since June of 2005. Chris’ primary focus is Investment Sales and Buyer and Tenant/Landlord Representation and has successfully completed transactions in office and retail leasing as well as land, special use, multi-tenant, and NNN investments sales. In addition, Chris has provided key clients with acquisition and disposition strategies, in depth market analysis, project development, investing and consulting services, including strategic lease and purchase negotiations. 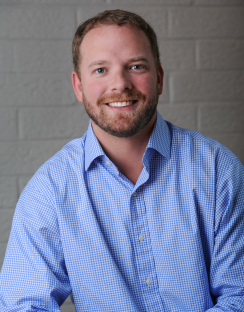 Chris is a member of the Charlotte Region Commercial Board of Realtors (CRCBR) and Urban Land Institute (ULI). Chris holds real estate licenses in North and South Carolina. Prior to joining Coldwell Banker Commercial MECA, Chris worked in providing Property Management Services, including a local Real Estate Portfolio of over 35 properties under management. He also worked abroad in London, UK for a year in the Hospitality Industry. Chris enjoys spending his time with friends and family. His hobbies include traveling, fishing, golf, tennis and skiing.